Modernism Week is the annual Palm Springs event that you’ve probably heard me yammer on & on about the past few years! It’s hard to express with words why I love this city and this February event so much, so I wanted to share some fun photos and my top recommendations in the line-up this year. Hopefully this will give you a better idea of why you need to join me there and which events you just can’t miss! 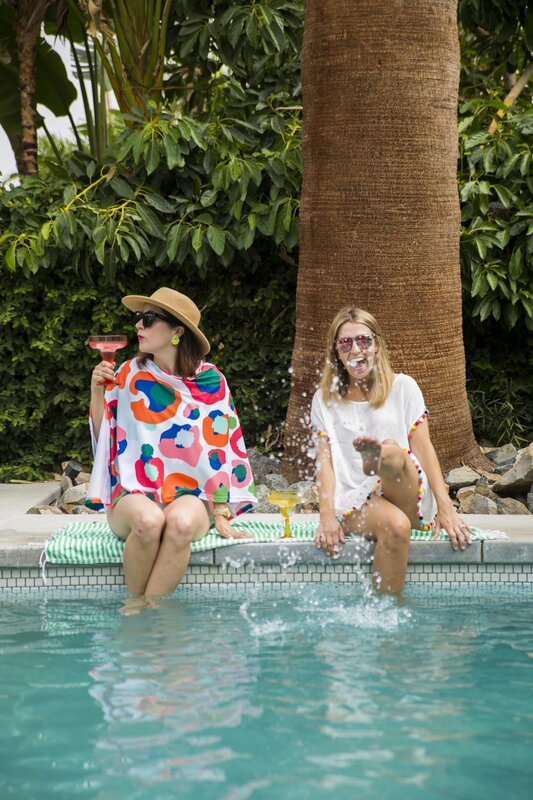 So what IS Modernism Week? Modernism Week begins on February 14th & is a celebration of all things mid-century; the architecture & decor, the nightlife, the culture, and so much more! It lasts for 11 days, and offers a plethora of happenings from lectures on architecture to cocktail parties. This event is especially fun for design enthusiasts and architecture lovers like me, because you get to tour a lot of private homes & neighborhoods you wouldn’t otherwise see when you visit this desert oasis. Now let’s get you rocking & rolling with a fabulous itinerary, shall we?! In no particular order, here are the events I’ll definitely be checking out. This post is in partnership with ACME House Company, but all opinions are my own. I immediately fan-girled over these talented ladies when I saw them perform on Glee, then again when they collaborated on a series of fine art prints with my favorite photographer, Gray Malin. It was Gray’s photos that inspired me to reach out to these synchronized swimming dynamos to see if they might work with me on a photo shoot to help me promote my Turkish towels. Well, they kindly agreed, not once but twice! We worked together on this shoot in Palm Beach with Beth from Palm Beach Lately and again in Palm Springs with the adorable Kelly Golightly & her husband “Fred Moser”. The Palm Springs shoot happened at one of my favorite ACME properties, and hence is how the Aqualillies connected with the fabulous brand manager of ACME. This was obviously a match made in modernism heaven- I mean I think every single ACME rental has the one thing the Aqualillies can’t do without- a pool! Well, fast forward to this year’s Modernism Week and that connection has blossomed into 15 fabulous performances! 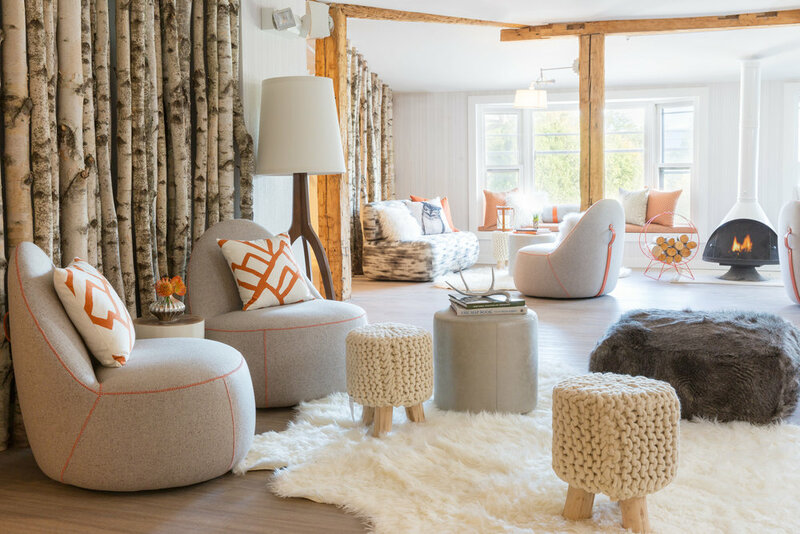 The shows will take place at ACME’s 2018 West Elm House, so as an added bonus you get to see that gorgeous property. Truth be told, this is probably the event I’m most looking forward to! Luckily, upon introducing ACME + Aqualillies, I asked for a matchmaking fee of a permanent invitation to their performances together. I really hope you get to see one of their shows, too. If you’ve never witnessed an aqua ballet, it will simply make you giggle with delight! Sadly, all of the tickets to tour this 1962 Indian Canyons home are already sold out, but you can still be the first to get a peek at this jaw dropping spectacle during this grand reveal party. In a nutshell, the Christopher Kennedy Compound is typically the main highlight of Mod Week. 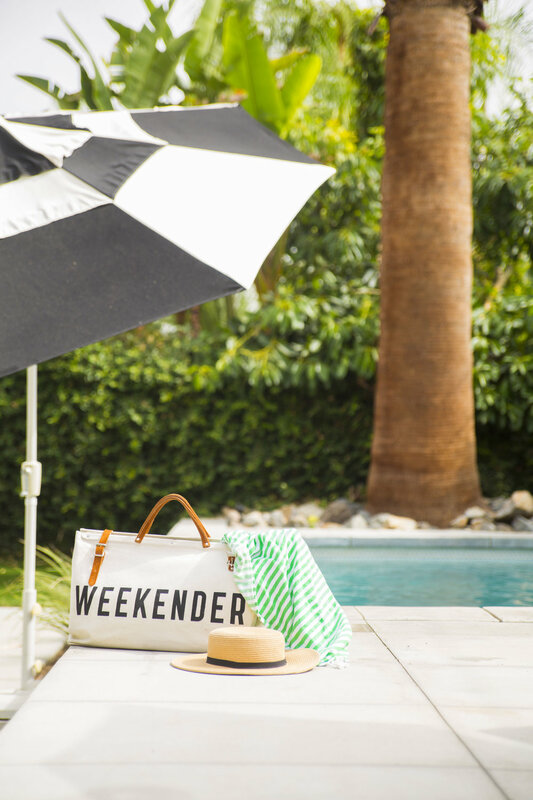 A couple years ago it was at the fabulous home of my favorite Palm Springs blogger, Kelly Golightly. 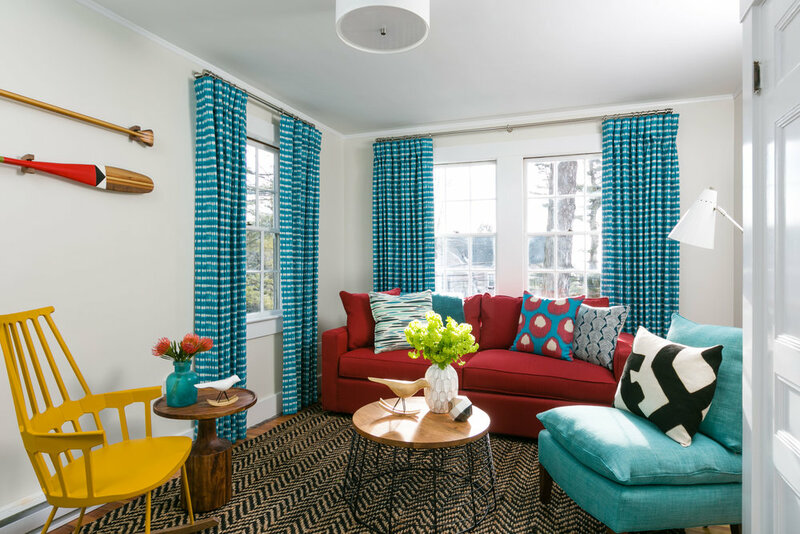 Talent after talent collaborated to design a different room- everyone from Oh Joy to Gray Malin. I can’t wait to see who the celebrity designers are and how they transform the show house this year! All 12 of them will be on site during the evening so you can ask them about their designs in person. If you can’t make it to any of the Christopher Kennedy Compound events, you’ll have to at least pop into his swoon-worthy store. It’s one of my favorite stores in town, and they even carry my Turkish towels! 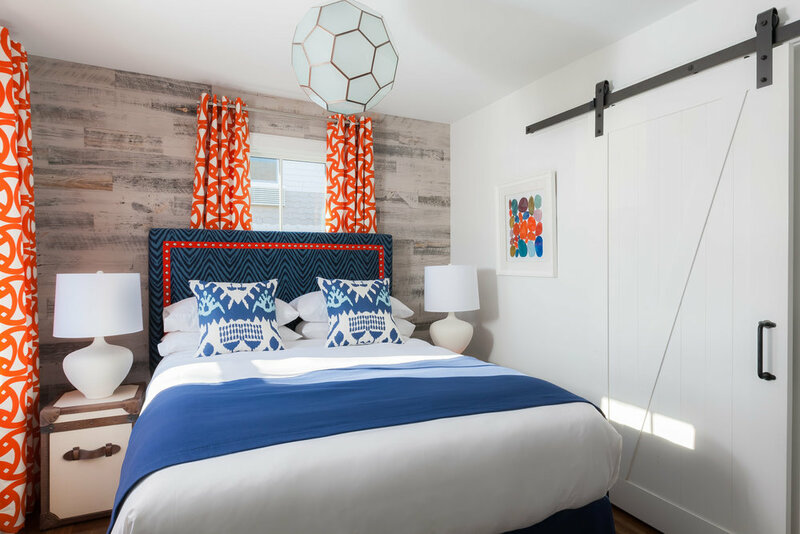 If you’ve always wanted to stay at an ACME House Company Vacation rental but can’t swing it this time around, this is the next best thing. You can tour this 1950’s estate home as well, but I highly recommend you go ahead and give yourself a night to remember and hit up this party! There will be an open bar & live music, and you can hang out around the fabulous pool or lounge in any of the impeccably designed rooms like the retro queen that you are. The entire house is decked out in everything West Elm, just like the other ACME West Elm houses I’ve showed you in the past. If you’d like to see the home during the day to get better photos, you can tour it for free by reserving a ticket here. The pools of Palm Springs are always a delight, and this H3K designed home is no exception. 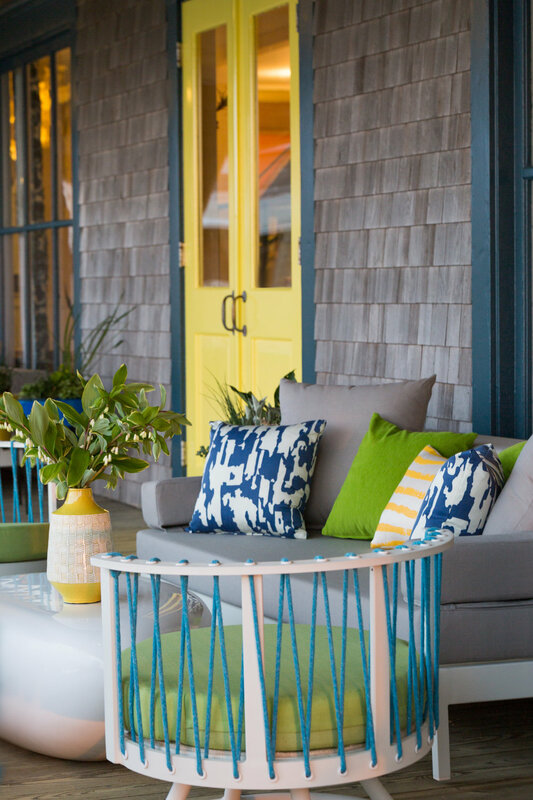 While called “Green Gables”, the home is actually overflowing with pops of yellow! 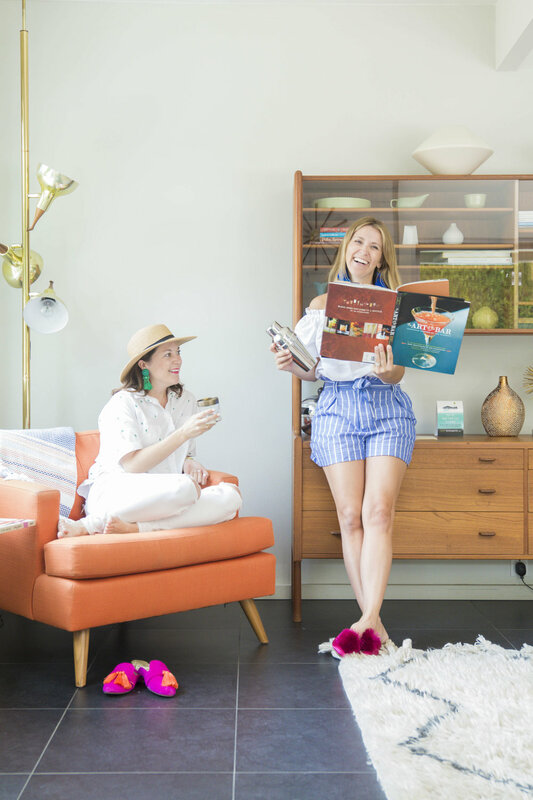 It was definitely one of my favorite home tour stops during Modernism Week Preview back in October, and this event is a great way to check it out this February. You’ll get to enjoy cocktails and appetizers while watching an array of fashion trends from 1950-1965 walk down a poolside runway. Groovy, baby! If you still need a place to stay, you won’t be disappointed if you stay in an ACME vacation rental! The ones I’ve tried (and LOVED) are Beverly Modern, Atomic Hummingbird, & The Wexler Fishbowl. We also got to peek into the “Palm Springs Time Machine”, the home from the Netflix Show Stay Here, and boy is it a beauty! 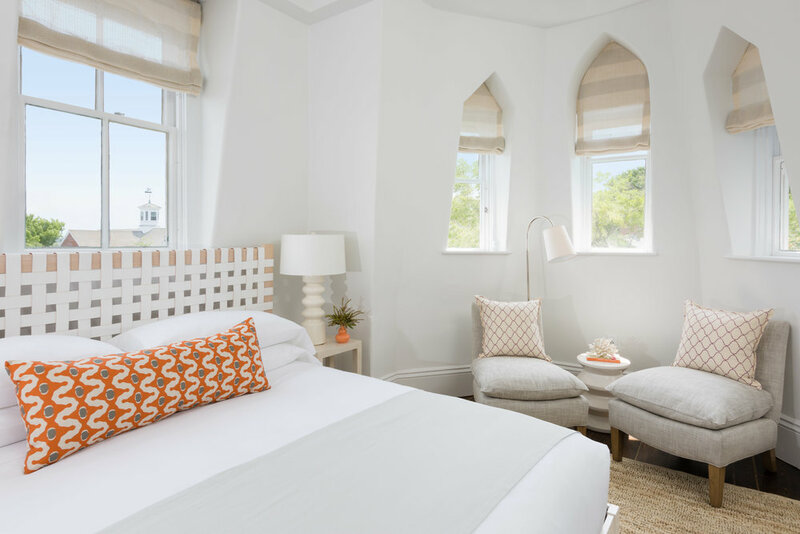 ALL YEAR LONG, you can use code WeekenderLove for a $100+ discount on your next stay with ACME! Comment below or shoot me a DM on Instagram if you’ll be heading to Modernism Week this year! This post is in partnership with The Weekend House, but all opinions are my own. Some of the links I've included may be affiliate links, which will earn me a small commission when you click on them. Palm Springs came across my radar a few years ago, and I immediately fell in love with the colorful & quaint city upon my first visit in 2016. While I was there during that first visit, a man at a neighboring table at Bingo night warned me to "be careful, Palm Springs will get in your blood!". To say he hit the nail on the head would be an understatement! A couple of visits later, I fell in love with the annual Palm Springs event called Modernism Week, a celebration of midcentury architecture, design, and culture. While I was there as part of the "Mod Squad", I stayed at the gosh darn adorable Weekend House. 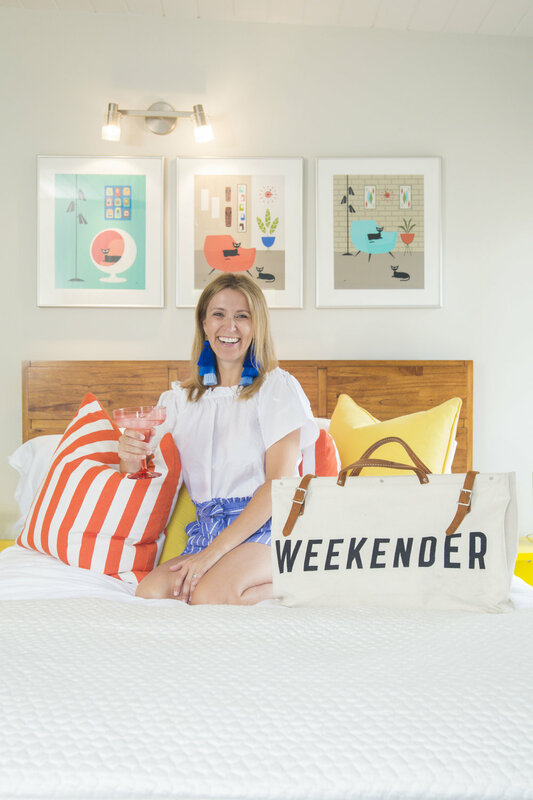 You can find my other recommendations around town in my Palm Springs Life Magazine Weekend Guide, but keep scrolling to see why Lucy Marie Photography & I fell so in love with The Weekend House! I love a good theme, so why not have a whole room that hightlights your favorite icon. 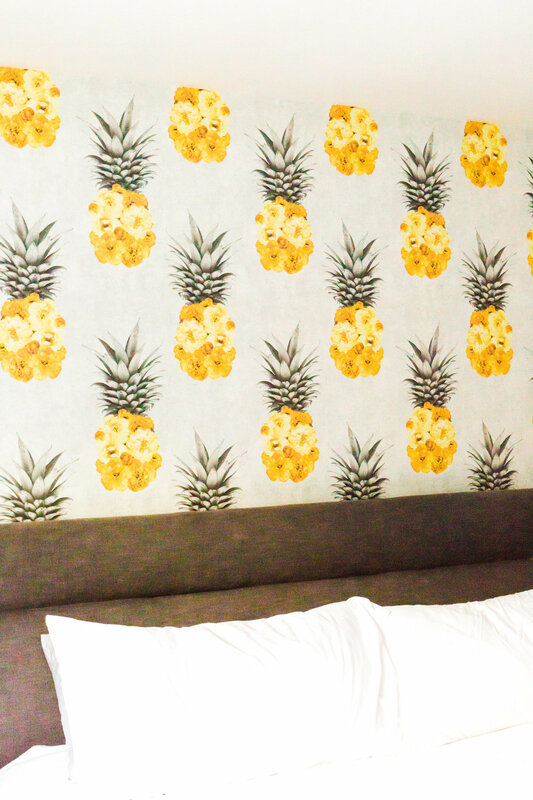 The Weekend House has a flamingo room, pineapple room, cactus room, and the list goes on. I have to say I think the Flamingo room stole my heart. That pink phone is just too much! I'm always a sucker for fun and games. One of my favorite tried and true ways to make it feel more like the weekend is to shut of the television and break out the board games! The Weekend House made me rediscover my love for Dominoes, so I bought this adorable pair that they had in their super chic den. They had so many cute games both indoors and out- corn hole, ping pong, you name it! 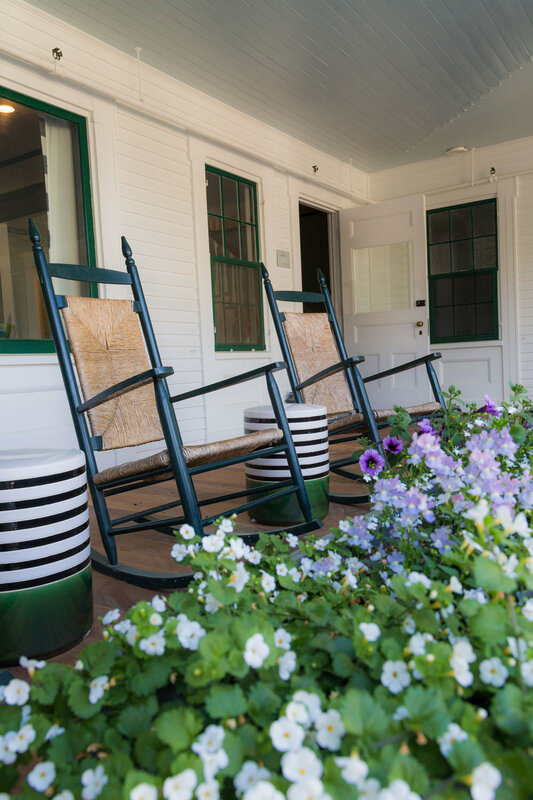 The best way to enjoy your vacation is to make sure you have a tranquil space to enjoy the outdoors. In Palm Springs, a pool is a must. They had a hot tub for us to enjoy, too! We certainly spent some good quality time living it up in this very well thought out backyard. Doesn't being surrounded by lots of green just make you so happy?! This is my kind of "great outdoors"! Email me or get in touch on Instagram if you ever make your way to Palm Springs. I would love to help you have fun in my California happy place! You can follow #WeekenderTravels to get even more travel inspiration, or pin this to Pinterest so you don't forget to add it to your bucket list. I am pretty sure I will get permanently locked out of my house if I come home with another bag! I'm really all set for the time being, but different bags are awesome for both fashion and function- packing my dog's necessities for grandma's house, schlepping things to photo shoots, or just making a fun fashion statement while I travel. Whether your travels take you to the store, the gym, or all the way across the country, here are some trends I think you'll love! 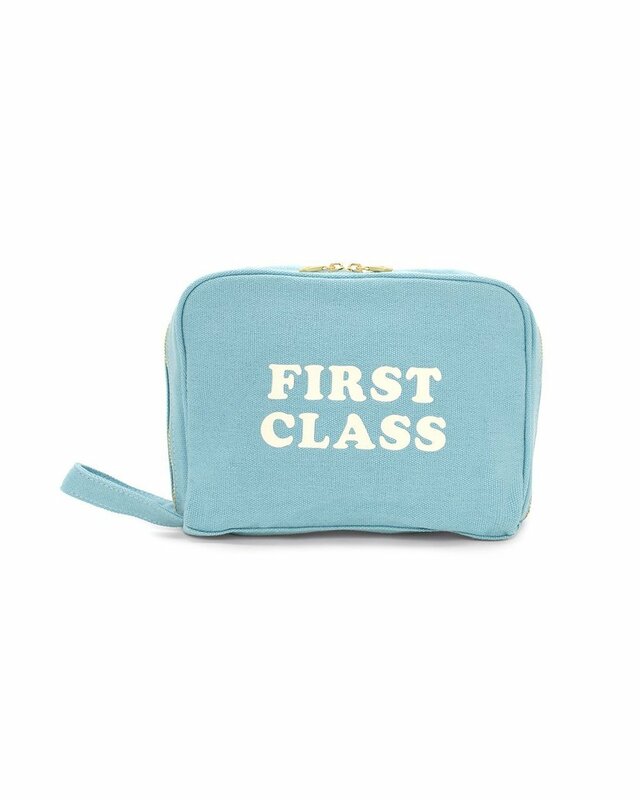 How awesome was it when people used to travel with a hat box, a make-up case, and all matching luggage? I'm loving the resurgence of these vintage styles! I am a shameless self promoter, so I put my branding on pretty much anything possible. When I'm on business trips this is a great way to strike up a chit chat with a stranger. Even if you're not using your own branding, just having a fun phrase can be the perfect conversation starter! Fun colors & prints will make you feel a little more vibrant, whether you're schlepping your stuff to the gym or toting groceries. I hope you enjoyed my picks! 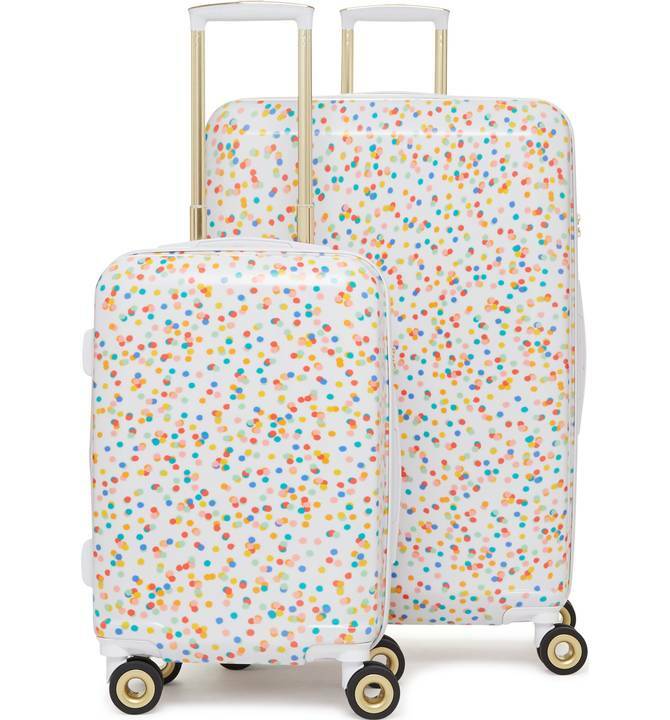 Check out this post on what to pack the next time you're heading to a conference, and have a look at my travel guides here.